For years the owners of Lissanoure Castle in Northern Ireland had been trying to find the best way to walk that fine line between practicality and aesthetics. It is a problem EverEdge is often used to solve. 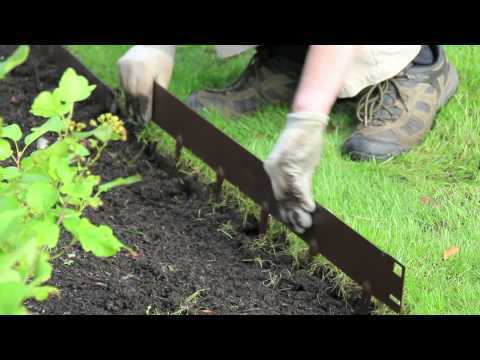 EverEdge Titan edging offers customers a durable, attractive and practical product that can be used to form a permanent edge around almost any feature. In this instance, the Titan edging was used in a Corten finish, a finish that weathers naturally, to stay in keeping with the stunning courtyard of the castle. Lissanoure Castle is a private estate at the foot of the Glens of Antrim in Northern Ireland and is famed for hosting events and weddings in some of the United Kingdoms most spectacular scenery. In a venue you like, every detail matters and the look of the edging in the courtyard had to fit the surroundings perfectly. EverEdge were called upon and were happy to provide EverEdge Titan. Peter Mackie from Lissanoure Castle had this to say "We had been puzzling for years about how to obtain a balance of aesthetics versus practicality for an area in Castle courtyard that was highly visible. The EverEdge Titan offered a really fun solution to both, with a crisp finish and one that is often remarked on. The team at EverEdge were a pleasure to deal with and I know that I am not easy to please!"